What I always like to present in my pictures is people in their environment, where they work, they study, they pray. To succeed in that I need to approach with patience and humility and try to stabilize a contact more friendly as possible to be able to let them feel at ease and take the best expression as I feel, in any case I try to always represent their dignity and never their tragedies. Cristina Garzone is born in Matera and lives in Florence,Italy. She is dedicated to amateur photography since 2000. 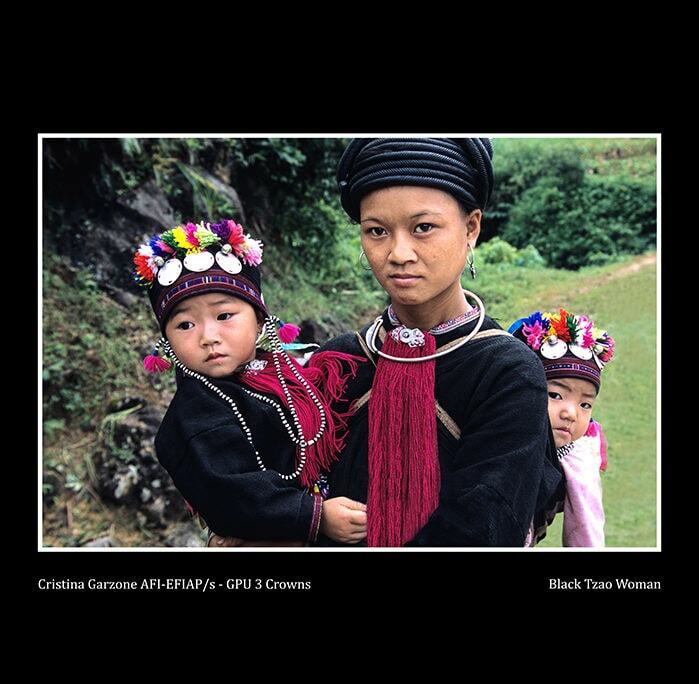 Her photos have had notable recognitions to national and international contest. Particularly she won the first prize at “3rd Emirates Photographic Competition” in Abu Dhabi in 2010. She has also taken part to national and international Jurys under FIAF and FIAP patronage. One of her images has made part of the team that has won the FIAP world cup in Andorra in 2005, and in April 2010 she won the FIAP Gold Medal in Dundalk, Ireland. 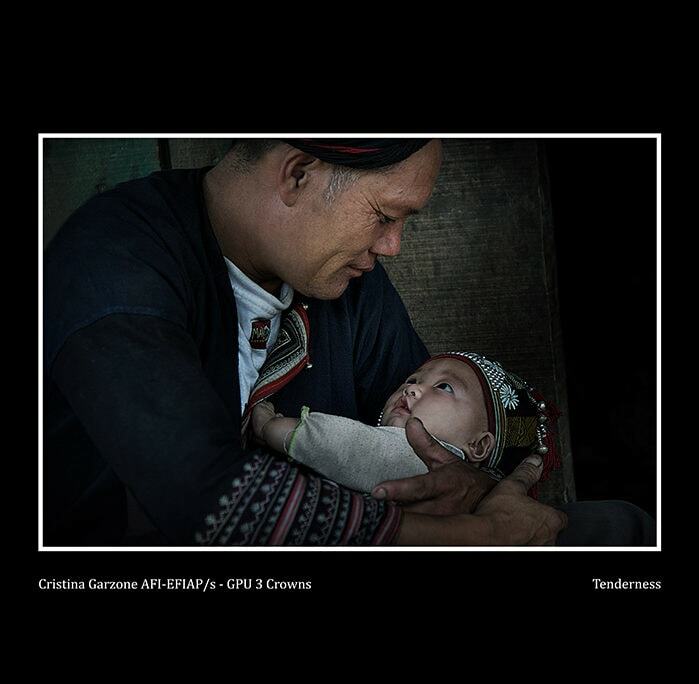 In january 2011 two pictures from her have been part of the national team who won the Gran Prix for the 60th Anniversary of FIAP in Singapore with the portfolio “Children of the World”.Again in August 2011 two of her photos were part of the Italian Team who won the 26th World Cup for projected images held in Antwerpen in Belgium. In April 2013 she was part of Italian Team who won Gold Medal to 27th World Cup for projected images”Modern Architecture” held in Luxembourg, and in February 2014 her photo was in the team who won the world cup “Friendship and Solidarity”category projected images held in Florence,Italy. Recently she won the Grand Prize at the 8th Emirates Award of Photography in Abu Dhabi where she was first between 8500 participants from 58 countries and 36000 photos with the portfolio “Pilgrimage to Lalibela”. In October 2014 the Italian magazine “DOVE” published one of her photo taken in Lalibela. In June 2015 she was part of the Italian team who won the golden medal in the “28th Projected Images Biennal” in Bandung,Indonesia,and her photo “ Villaggio Karo 3” was honored with the silver medal. Her personal exhibitions were part of official events throughout Italy and abroad; has participated as jury member in competitions with national and international patronage; her photos were chosen for covers of magazines and publications, are also included in monographs of various arguments. In January 2010 has received the honor of AFIAP (Artiste de la Federation Internationale de l’Art Photographique)and in February 2011 she has received the honor of EFIAP (Excellence FIAP),and in February 2013 she has been honored with EFIAP/b, in February 2015 she has received the honor of EFIAP/s. In May 2013 is Vice President of the Photoclub “Il Cupolone” in Florence.